Life is all about looking for the silver lining to the dark clouds, isn’t it? So even as we get closer to another winter, let’s not worry about the adverse impact of the costs of heating our homes to our monthly household budgets. Instead, let us focus on how we can save some money easily. No, we do not have a magic wand. But, something as simple as draught-proofing your home can save you well over £1 a week. That might sound like small change. But multiply that amount by the number of weeks in 5 years and you have a tidy sum of £275 that you can save over that period of time. This figure is only indicative, so depending on how large home is and how much of draught there already is, you could save a lot more. Now that we have your attention, let us tell you what draught-proofing is all about and how it can save you money. First, what is a draught? In simple terms, draughts are air flows into or from the house. They are caused by gaps in the construction that could exist between the walls of your home and windows or doors or between electrical fittings on walls (like an exhaust or extractor fan) and so on. Think of the effect that even a partially open window can have on your heating bill in the winter. A lot of the heat generated inside the house simply flows out through the open window, which forces you to adjust your thermostat to a higher setting. A draught in your home works in much the same way. Except that the gap through which the warm air escapes (or the cold air comes in) is not something you can close at will. In fact, you may not even know where such gaps that cause draughts exist. You can either draught-proof your home in “DIY” (do it yourself) mode or get it done by a professional. The task of draught-proofing is not all that hard; however, what can make it confusing for people who have not done such work before is to select the right material to seal the gaps. Reaching those awkward places in the first place can be a challenge too. But then nothing that’s worth something comes easy, does it? Draught-proofing saves money no matter how big or small your house is. Also, the risk of a draught increases with the age of the house. So if you’re planning to buy a house, do ask the seller about draughts. If you’re looking at selling your house, then draught-proofing it first may get you a better price. By draught-proofing your home, you reduce energy consumption. After all, that’s what gives you the savings in the first place. 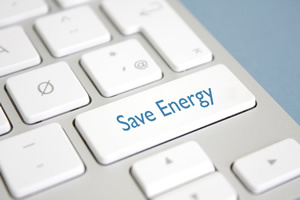 Energy conservation helps not just you and your family, but it also contributes to the energy security of our nation. And when people from every nation do more and more to conserve energy, the entire planet will benefit. So go on, do your bit.